← Limited Time Offer: 11% Discount for May 24-26 Sebring Event – Sign up BEFORE May 16 to Save on Your Sebring Fun! With our 11th annual Sebring event just a week away, we’ve put together a “Sebring survival guide” of sorts. 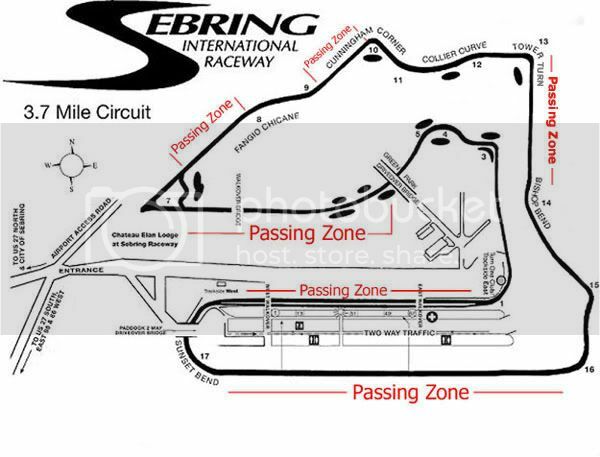 PLEASE CLICK ON THIS LINK, Download and READ this document and bring the waivers with you to registration at Sebring. This Track Guys Sebring Survival guide includes important information about our event and the FORMS you will need to turn in at registration. NEW LOCATION for registration: Please note – for 2013, we will be doing pre-event registration INSIDE the track at the EAST end of the Gallery of Legends building on the very west end of the paddock area. You MUST stop at registration before unloading your car or moving into you garage or paddock area. Also note: Sebing has some new rules regarding spectator, crew and family viewing areas. There are also some new regulations regarding the ages of minors and where they are allowed to watch the vent from. Thank you… safe travels and see you at Sebring International Raceway! This entry was posted in Track Guys Events, Track Guys News. Bookmark the permalink. The only place I see required clothing is on the tech form, and it requires long sleeved shirt and long pants. If that is accurate it’s going to be toasty at Sebring. Is that actually the rule?